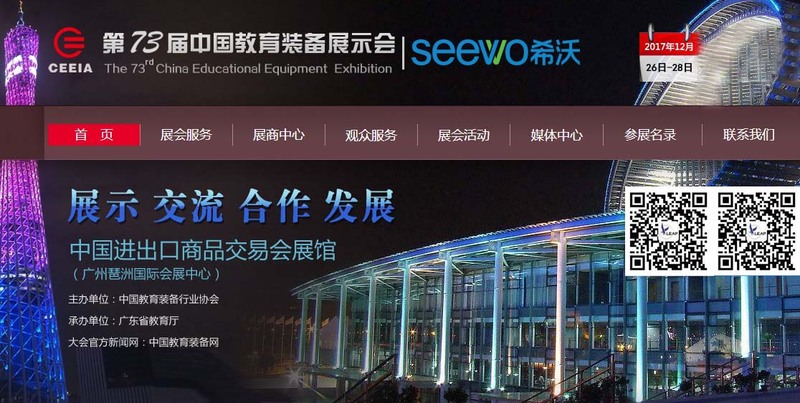 hina Education and Equipment Exhibition, has been successfully held 72 sessions since 1980.Nowadays it develops into the largest and most professional education equipment industry's exhibition in China even in the world. It is dedicated to show the new achievements, new technologies and new products of the educational equipment industry. It is an important platform to show the latest development of China's educational equipment industry and an important window for educational equipment production and management enterprises to go out. It’s not only the best platform for enterprises to establish a brand, promote products, trade exchanges, but also understand the educational equipment industry trends, high-end platform to share product information, educational equipment. the Ministry of Commerce was listed as national key guidance and support of the show. LEAP TIMER participated in the exhibition to expand horizons, open ideas, learning advanced, communication and cooperation-based. Make full use of this opportunity and use of products for live demonstrations, with customers to explore Q & A doubts, to communicate and negotiate with the exhibitors and dealers to further expand the company's visibility and influence in the industry. In the meanwhile, further know the features of peer advanced enterprise products in order to better improve own product structure, exploit own advantages. Of course, LEAP TIMER will show you our hit products --stopwatch, chess clock and other five series of sports timing products. In addition, will show and promote the talent gene detection and gold gene detection projects. Autumn season, is the most comfortable season in Guangzhou, where there is endless culture of Ling Nan, endless Cantonese cuisine, endless view of the South Guangdong beauty. Warmly welcome you to Guangzhou! !